March is Best Buddies Month, a perfect time to highlight all the wonderful characteristics and abilities of our friends with intellectual and developmental disabilities and advocate for integrated opportunities and inclusion. This month allows us to reflect on the importance of friendships, jobs and the development of leadership skills in every person’s life. This year marks the 30th anniversary for Best Buddies, which makes this year extra special when it comes to spreading the word for inclusion. Further, 2019 marks over 10 years of the Spread the Word to End the Word campaign, which has now expanded to be called “Spread the Word for Inclusion.” This initiative not only wants to eradicate the use of the derogatory r-word but also emphasize that the inclusion of individuals with disabilities should be the expectation, not the exception because everyone has the ability to succeed. 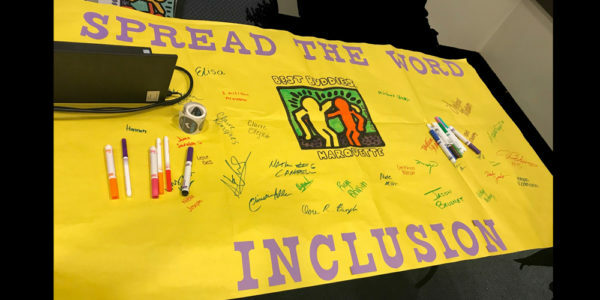 Our school chapters across the state helped Spread the Word for Inclusion on March 6th, the national day of awareness for the campaign, by hosting assemblies, teach-ins, and banner signings where students and faculty members could take a pledge to be more inclusive. Another great way to get the conversation started with people in your community is by wearing your favorite Best Buddies gear. You are our best advocates for awareness, especially when representing our mission with a shirt! Check out the Best Buddies Shop to view our new gear! Here are a few ways Best Buddies Wisconsin is promoting inclusion in our local communities. 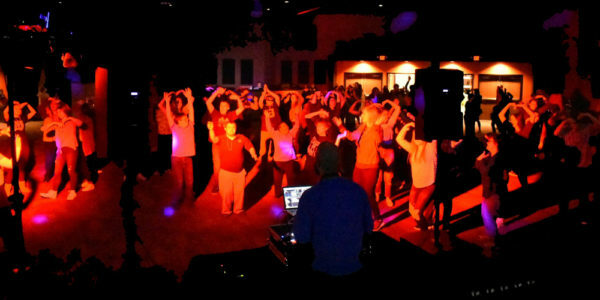 On March 2nd, Best Buddies Wisconsin hosted an all-chapter dance at The Ridge Community Church. 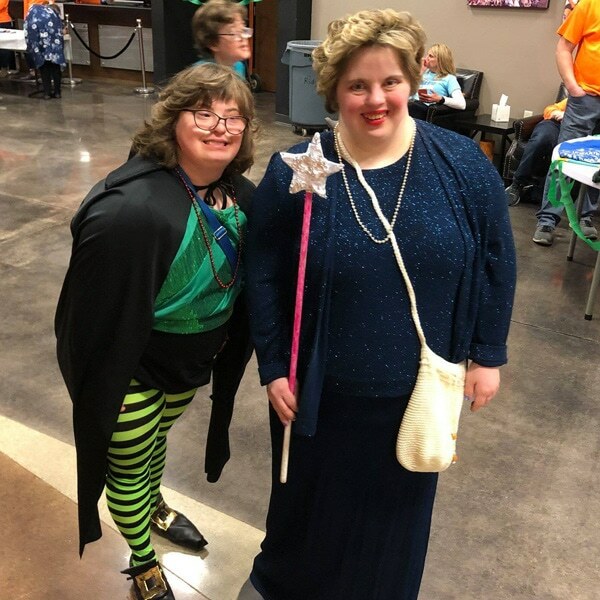 Participants from both school friendship programs and the Citizens program attended, donned in green and their favorite Best Buddies gear, to dance the night away in the Emerald City. This event was a perfect way to kick off Best Buddies Month with all of our friends! “May the Fourth be with you!” Our annual Best Buddies Friendship Walk is fast approaching! The Friendship Walk is the number one walk in the country raising awareness and funds to support inclusion for individuals with IDD. Our walks have made an incredible impact in our communities and we would love for you to join us this year. Sign up as an individual or create a team…begin to fundraise…and help us promote inclusive atmospheres that provide new friendships and equal opportunities for all! Free to participate! If you missed the dance, you can still support our mission by pledging to spread the word for inclusion. Help us create a worldwide community of individuals where inclusion for everyone, including those with IDD, is the norm. Encourage your friends and family to also promote respectful and inclusive language and behavior.